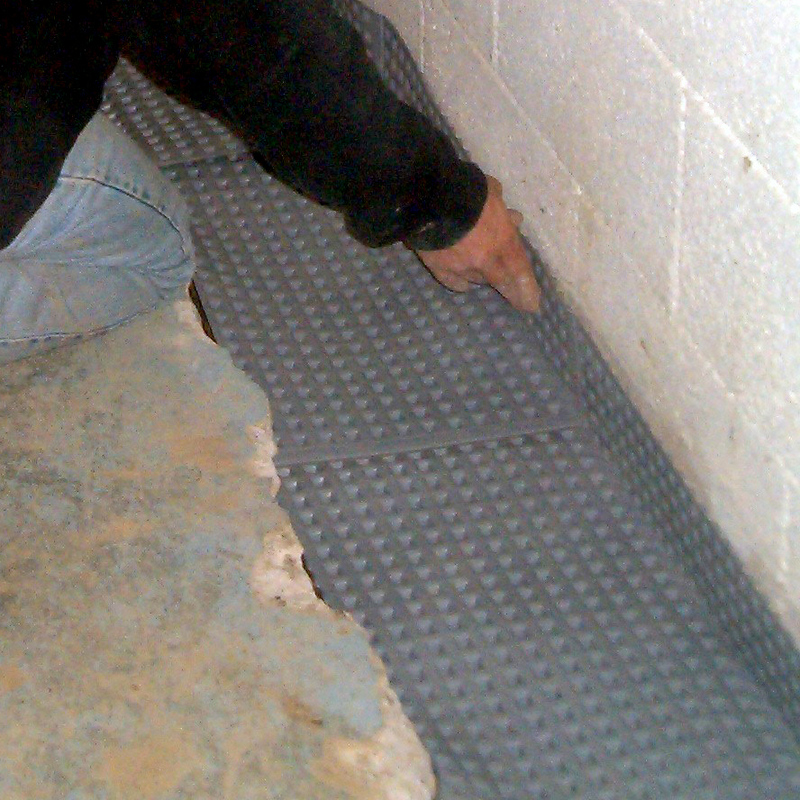 Atlantic Coast Waterproofing | Servicing Metro Detroit and South Eastern Michigan; Basements and Foundation waterproofing. Engineered Systems for Damp, Wet or Leaky Basements. Offering the Strongest Transferable Guarantee in the Industry! 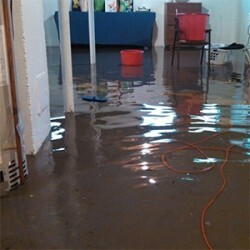 Atlantic Coast is waterproofing Michigan basements one home at a time. Each job that we do receives the proper inspection, diagnosis and quality workmanship that the customer deserves. 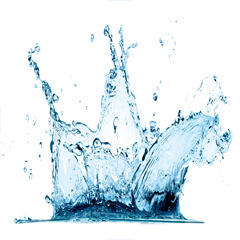 Our waterproofing solutions are permanent and are not designed to try and stop water but are engineered so we can carry the water away. The key to this fact is that you need to be able to move the water away faster then it is received. Owner of Atlantic Coast Waterproofing, Inc.
Atlantic Coast is your BEST option for a permanent solution. Every basement will have unique situations. We look at the entire structure and provide the best options for a permanent solution. From quoting to design and installation, you will be actively involved in the process and be able to speak with us every step of the way. Every material we use and person we hire meets our strictest requirements. Only skilled labor on each job site. We do all the work ourselves, no sub-contracting. We recycle 90% of the concrete we haul off of our job sites. Very few builders construct their own foundations. Almost all foundations are sub-contracted to only a few contractors that build them. The contractors that are building a foundation at the beginning of the week for a fifty thousand dollar home are the same contractors at the end of the week building a foundation for a two million dollar home. Therefore the myth that the more expensive the house is the better the foundation is built, is only a myth. Contrary to popular belief, both basements are built the same way. Surprisingly in most cities and towns, the building codes for waterproofing have not changed since they were written fifty to sixty years ago. This gives the builder basically carte blanche on how he wants to waterproof. There have been many innovations in products developed by the manufacturers to improve the standards of waterproofing however they have never been set to code. Most of these products are never used on the forefront of initial waterproofing because of higher material cost and the builders eighteen month limited warranty on basement leaks. The weight of built up water under and around your foundation that begins to push the water through the seams of your basement. 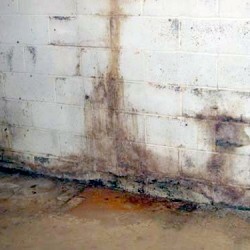 Water that enters through foundation cracks can be a sure sign that the previous waterproofing has failed. Understanding your cracks is of great importance to be able to waterproof properly. The invention of the 4" perforated drainage pipe didn't enter the building industry until 1970. Terra cotta ceramic clay tile pipe was the premier choice prior to this time and era. Deteriorates value and can cause health (some serious) issues. Mold will start growing in the dampest and darkest places where we don’t usually see, so by the time it’s actually visible to you it has been growing for quite some time. Choosing the right system for your specific needs will ensure your basement is protected. We will assess the situation and best solution for your needs. Remove and direct water from inside. Our interior systems will remove hydro/static water pressure from under the structure while managing the wall seepage under the floor to a sump pump system. Prevent water from penetrating the house. Our exterior systems deal with water on the positive side of the foundation wall. 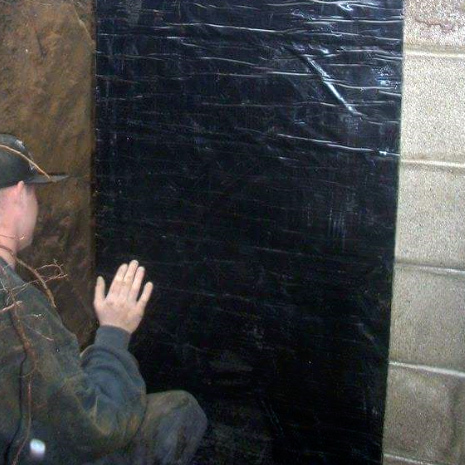 We offer both dampproofing and waterproofing, consisting of traditional parging, tar and plastic to the more modern wall membranes. A exterior drainage system would be installed to drain into a bleeder system or sump pump system. Force the water out of the basement. Sump pump systems are the heart to any waterproofing systems. They are the exit strategy to what we do. 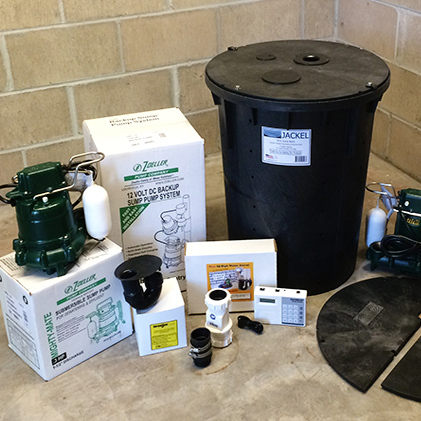 We carry a full line of Zoeller sump pumps and Zoeller battery back-up pumps. This is an American made pump out of Louisville, Kentucky and they have been building quality pumps since 1939. Remove the problems and restore the beauty. 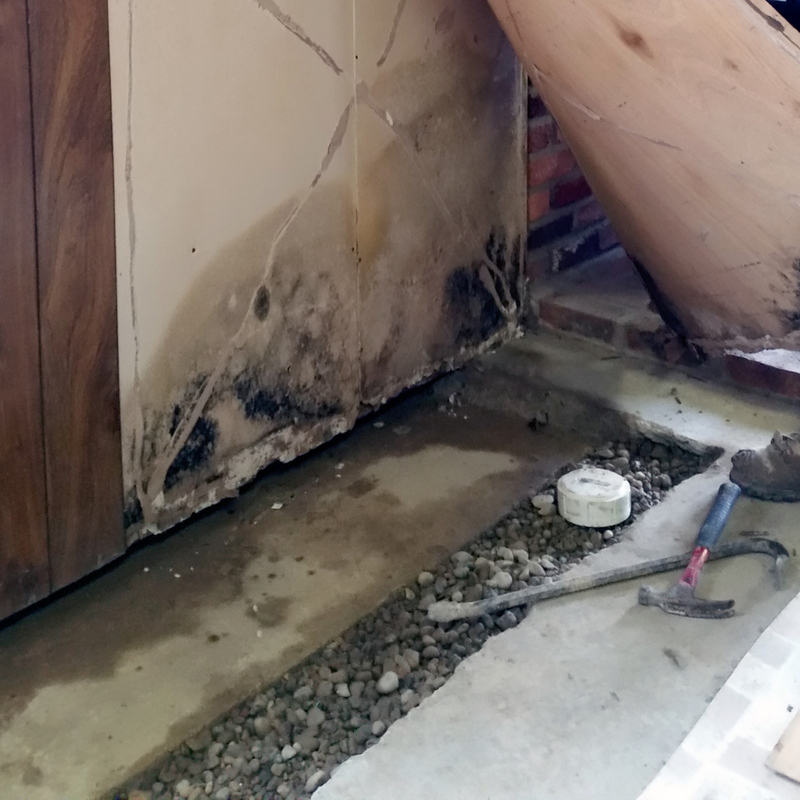 Our foundation restoration services consist of removing water damaged or mold infested drywall, paneling, studs, carpeting, floor finishing systems, homeowner contents, etc, and disinfecting the foundation. A wise man once said "It's better to be proactive before a storm than reactive after the storm". Damp, Wet or Leaky Basement? Engineered Systems for Damp, Wet or Leaky Basements. Offering the Strongest Transferable Guarantee in the Industry! 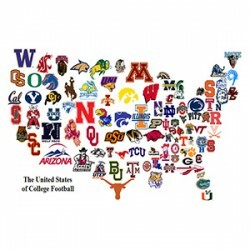 please call us at 248-597-7000 or 810-750-1717.